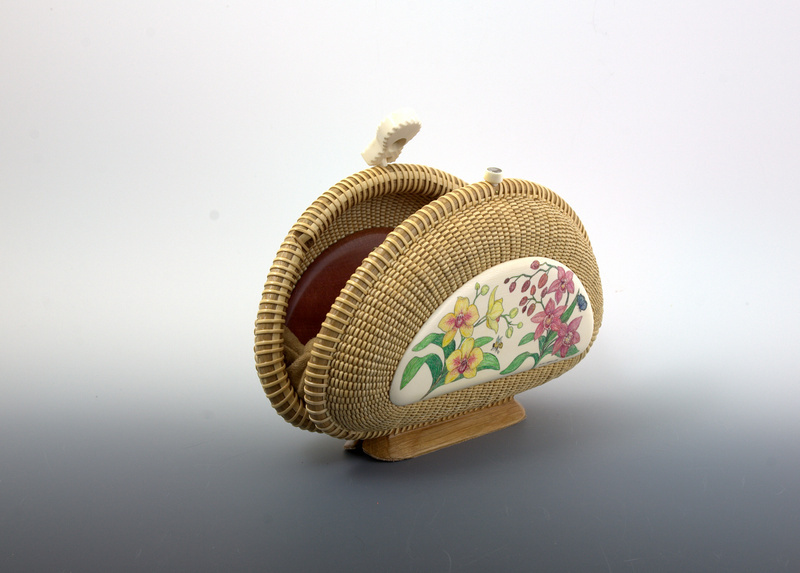 This 7″ clutch basket was originally called the I-Phone Clutch but the phones have gotten so big most of the phones don’t fit so you need to go larger! 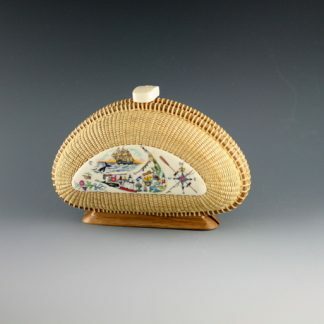 This is a 7 clutch Nantucket Lightship Basket is made by Michael Kane. 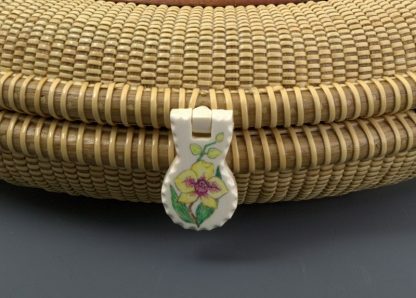 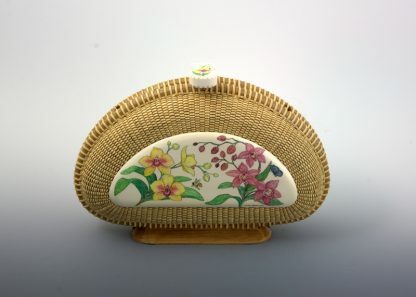 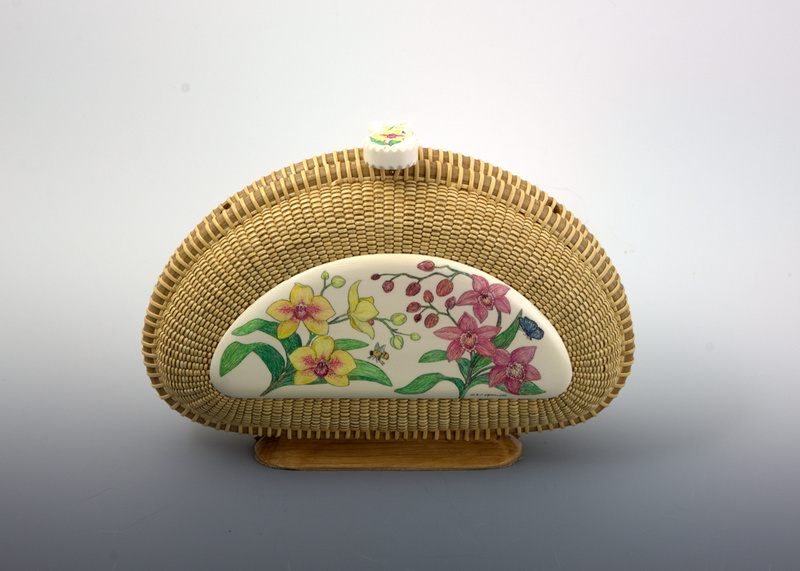 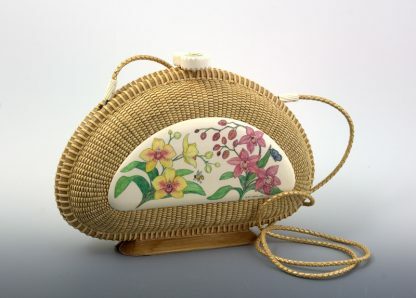 The basket measures 7 1/4″ x 4 1/4″ and has a white top for the front with scrimshaw hibiscus flowers by Dorothy Grant O’Hara. 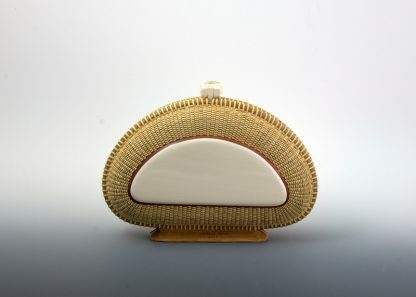 The back top is white with pink ivory wood edge and has been left plain. The magnetic clasp is white with a scrimshaw hibiscus to match the top. The liner made of tan ultra suede is attached along the edge so that your things don’t fall out. The liner does not cover any of the beautiful tops or weaving on the inside. 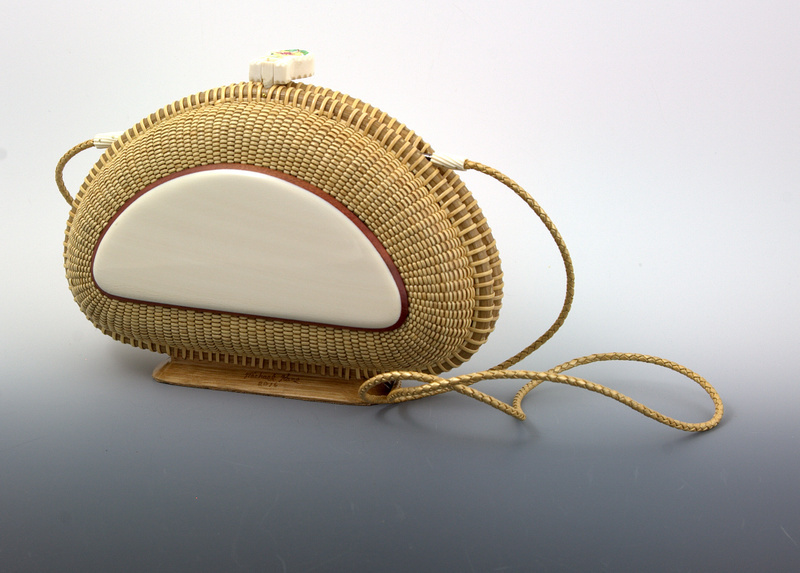 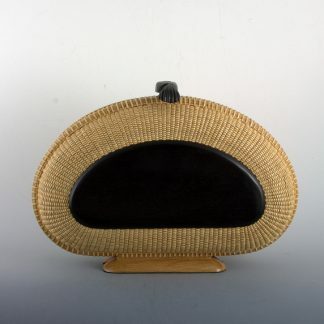 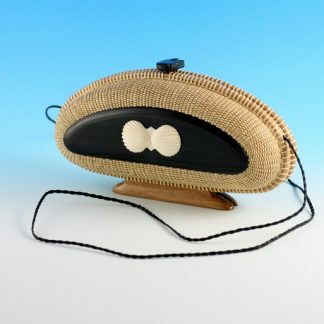 Michael has also designed this basket to have a gold leather cord that can be taken out when you need your hands free! 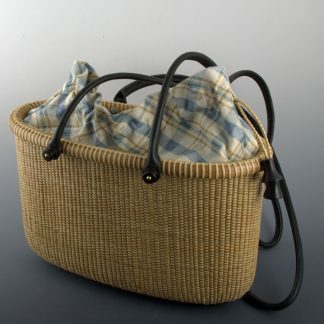 All the clutch baskets Michael makes have a stand so that you can display them rather than laying them down.